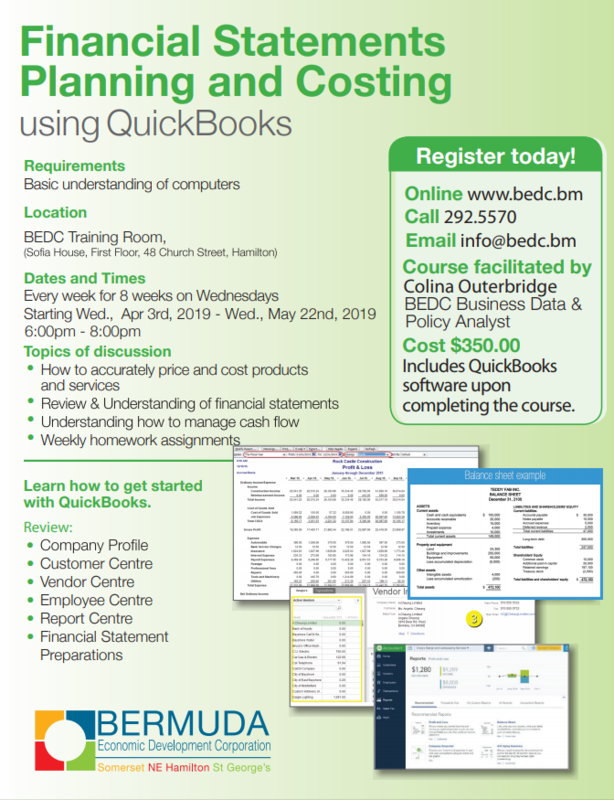 Participants will get to learn the basics of reviewing and understanding financial statements in this eight-week course facilitated by Colina Outerbridge Business Data and Policy Analyst at BEDC. Designed for those who already know what business they want to start, but whom need help understanding how to manage cash flow and how to get started with QuickBooks. It includes QuickBooks software upon completing the course. Location: BEDC Training Room located at Sofia House, 48 Church Street, Hamilton.